We already became fans of Peruvian food and as I have talked about before, it has an extraordinary gastronomic heritage, but I would not like to leave behind, the great variety of different drinks and cocktails they have. The traditional Peruvian drinks are full of interesting recipes and unparalleled flavors, so today we will talk about some. 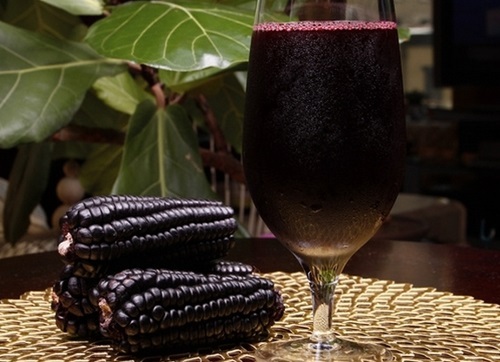 Without a doubt, one of the most internationally recognized Peruvian drinks is chicha , an ancient artisanal drink of the Incas, which is made from the fermentation of corn served in establishments, traditionally called chicherías or picanterías. This drink is so important in the country, that it is even used for dishes like adobo arequipeño and stew. Another star is the emollient . A drink made from roasted barley grains, sugar, lemon juice and some herbs such as horsetail, flaxseed and boldo. Its popularity is based on the fact that it is believed that it has great medicinal powers and that it cures affections of the digestive, circulatory, respiratory and reproductive systems. It is traditionally consumed in the morning during breakfast or in the evening / night. The pisco is for those seeking something truly traditional and strong. A variety of brandy made from grapes that has earned its title of National Cultural Heritage of Peru and its popularity as one of the most famous drinks in this country thanks to its great tradition, flavor and demand in European countries. It has been produced in the coastal area since the end of the 16th century and has remained in force thanks to its use in some very famous cocktails such as the Ponche de los Libertadores, the pisco sour or the canary. Did you feel like it? Here are three simple recipes for cocktails from Peru. Captain . This drink is known as the Peruvian Manhattan and is prepared with vermouth and pisco, accompanied by ice and cherries. A very cosmopolitan drink popular among people of all ages. Shake ice, pisco and vermouth in a shaker and stir gently. Then pour it into a pre-cooled cup and decorate it with the Sweets to taste. Mix everything in a shaker or blend for 15 seconds at medium speed. Then serve in a large, wide-mouthed glass. This cocktail is prepared with care by serving the ingredients one by one in a tall glass, without mixing so that the layers of different colors shine. The glass is decorated with a slice of orange and a cherry to show off the drink. As you can see, Peruvian cocktails are totally free of presumption, simple, accessible and very rich because of their culture and flavor. I invite you to encourage yourself to prepare your own traditional Peruvian drink and tell me the results and also to visit fitrate Travel Blog .